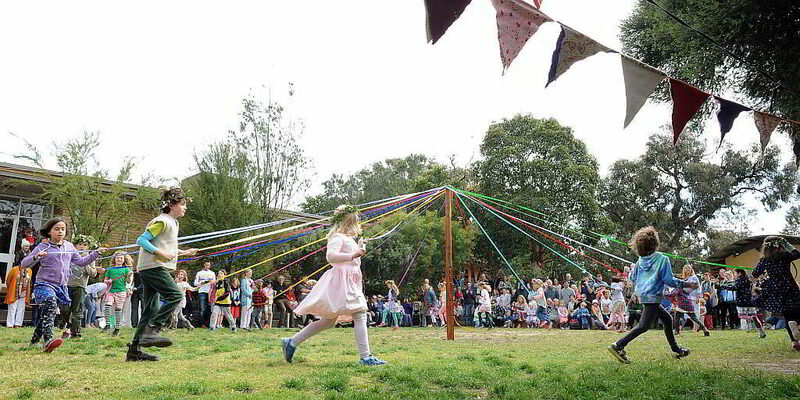 Our annual Spring Fair & Market Day is our biggest community event of the year. Whilst it is an important fundraiser for the school, our main focus is to promote the school and provide a wholesome community event with activities for the entire family. Early in the year a committee of parents is formed to plan and prepare for Fair Day. The event continues to change and grow each year as we build upon the tireless work of the many families over the years that have been responsible for holding this lovely community event. The day features market stalls, children’s activities, music performances, wholesome food and open classrooms where the children’s work is on display and Teachers are available to answer any questions about our school or the curriculum we offer. The success of this day depends heavily on the involvement of the DRSS parent body. The dedication of our school community is strongly felt on Fair day and helps to create a warm, caring atmosphere at our unique event. The date for the 2019 Fair is Sunday 27th October. Please see our flier for more details. Each year in May as part of Education Week, DRSS holds a workshop called the Taste of Steiner Curriculum. This event is open to any adult in both the school community and the wider community alike. This is a unique opportunity for adults to experience the classroom environment at a Steiner School as a child would experience it. Participants sample lessons and enjoy the richness of the Steiner Educational approach. Bookings for this event are essential. Please ring the office for more information or to book into our Taste of Steiner Education 2019.